As many of you know, my mom and I have been exhibiting at San Diego Comic Con for over ten years! This year, Bored Inc. still has a booth, but things are a little different. Since I am nearly 9 months pregnant (!!!) our friends at Hot Properties are taking care of our booth this year. In addition to our Bored Inc. merchandise, they'll have their own awesome officially licensed goods from brands like Minions, Adventure Time, Simpsons, The Regular Show, and more! 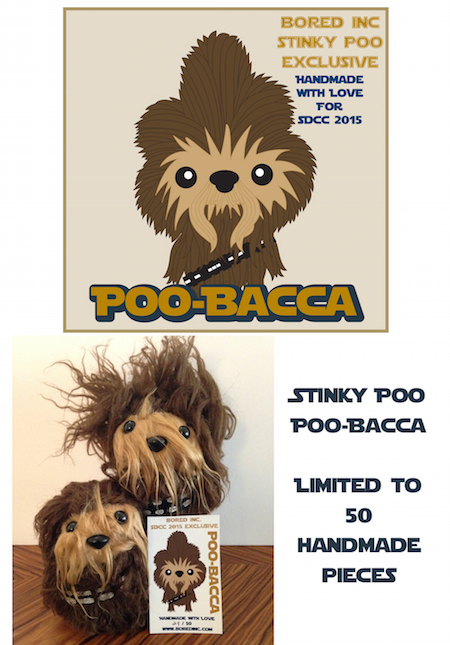 And we will still have Comic Con Exclusives- our Poo-Bacca handmade plush is limited to 50 pieces total, 1 per person, 10 pieces released per day, $18 each. 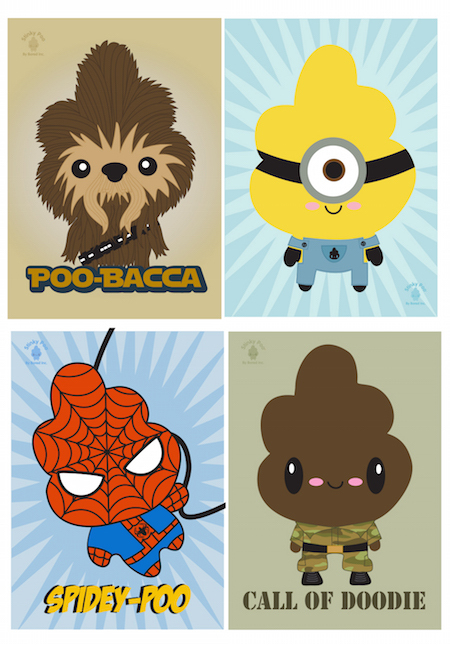 We also have four 5x7 giclee print designs- PooBacca, Minion Poo, Call of Doodie and Spidey Poo! $8 each, editions of only 15 pieces, first come first serve. I'm sad not to be attending and catching up with all our wonderful customers and fans. I hope everyone has a great Comic Con! Come by and check out our exclusives and say hi to our Hot Properties friends at Booth #609!